Like everyone, we at Gorilla love a good old knees up, and we love providing the equipment for people to enjoy these sorts of events even more. 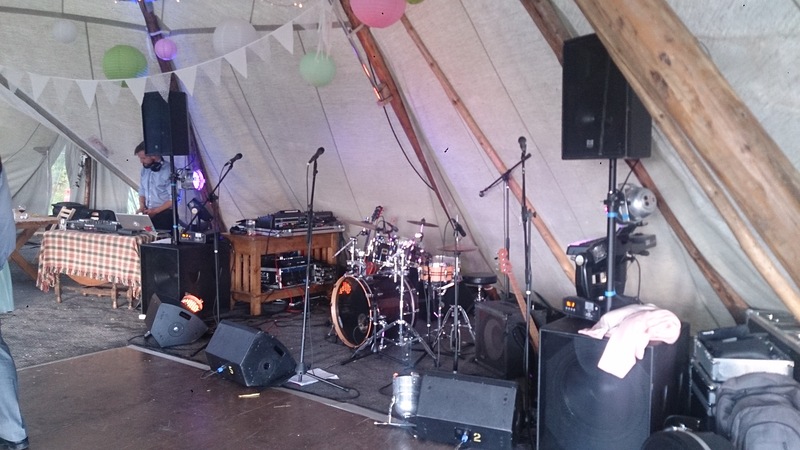 Whether its your wedding, Birthday party, or even a simple house party, Gorilla understand how important it is to have the perfect set up on their special day, whatever the budget, whatever the brief. 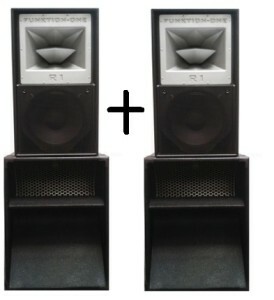 This can be from renting a pair of active speakers at a student house party, up to a fully engineered Martin Audio or Void acoustics sound system for a Band or a DJ. 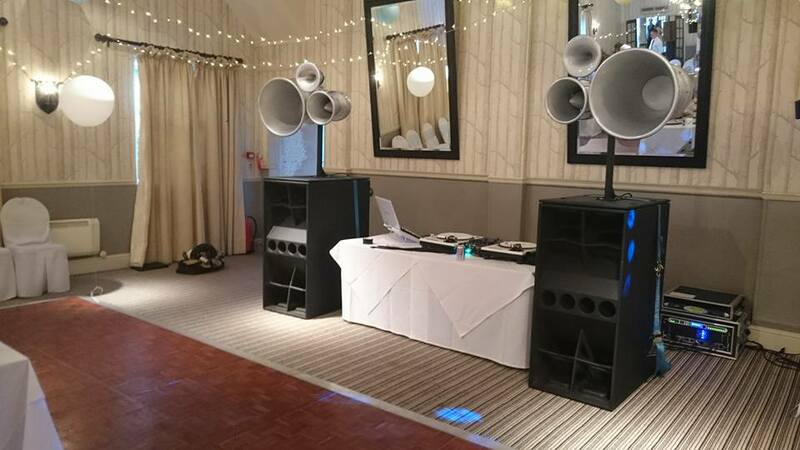 Last year alone, we were responsible for the sound at just under 60 weddings and before starting Gorilla, our engineers used to DJ at weddings, so it would be fair to say we know what we are doing and that by choosing us, you are in safe hands. 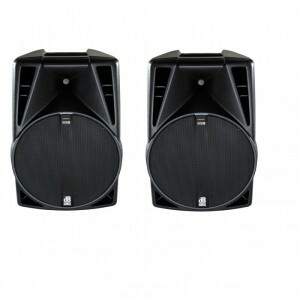 Below are our most popular sound packages for hire and use at Parties and Weddings of any kind. Includes 2 x dB Technologies Opera 715DX Full Range speakers and 1 x dB Technologies D Sub15 (optional), 2x Stands and a Minijack cable for you to connect your Ipod/Ipad/Laptop/phone etc. Our dB Technologies speakers have amplifiers built in eliminating the need for external ones. This makes them very quick to set up and incredibly compact. All of Gorilla Audios active speakers use Class D amplification technology. This means they are very lightweight as well, making them the perfect portable solution – Great sound, powerful and incredibly simple for anyone to set up. Add the sub for a bit more volume at low frequencies. Includes: 2 x Martin Audio F12+ tops, 2 x Martin Audio S18 Bass Cabs, Ultra Compact Powersoft Amp Rack, speaker poles and cables. Anyone who has heard of Martin Audio will associate the brand with high end quality sound reproduction. Being one of the very first UK based concert speaker manufacture back in the 60s, these guys really no what they are doing, and the Blackline series is nothing but proof of that. This simply designed, discrete ‘Reflex’ loaded system has many applications and it really does sound great no matter where you place it or what you throw at it. 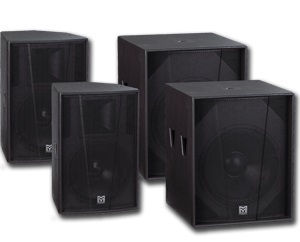 This system will happily cater for bands and small gigs as well as speech, and dance play back. The highs from the F12s are effortlessly clear and smooth without being painful, and the bass is rich, warm and incredibly punchy even at low volumes. Whilst ‘reflex loaded’ speakers sound brilliant, the sound doesn’t travel as far as it does with the horn loaded options we also offer, so this system is perfect if you want to keep sound spill and complaints from the neighbors to a minimum. Includes 2x Funktion one Res 1 Mid/Hi, 2x Void Arcline X Subs, Ultra compact Powersoft Amp Rack, Poles and cables. 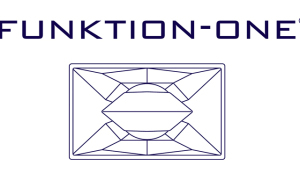 Taking the highly sought after Funktion One brand and making it affordable and available for you. 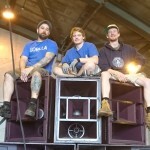 Teamed up with the awesome Void Arcline X subs, Clear, punchy, clean sound is ensured at any event this system will grace. Due to a unique modification we have made, All this comes from a very small footprint, being only 50cm wide per stack, this is great when space is at a premium. This system is guaranteed to turn heads. Having a Party for more than 200 people? No Problem, we have plenty of other options including our Airmotion system below. Our Void Airmotion Systems, Available in both Silver and White, are perfect for making your wedding stand out like no other. 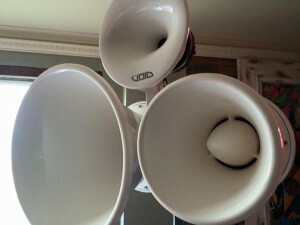 These unique speakers are guaranteed to make any head turn and help make your special day an unforgettable one. They not only look the part, but sound event better also. These same speakers are used in countless clubs and venues around the world, so are also great for all the ravers at heart. We currently stock these in White, for the perfect white wedding, as well as Red and Silver. Take your pick. Void Airmotion V2 system – Will cover up to 350 people. As we also stock and can provide the lighting and Dj equipment for your event, why look anywhere else?